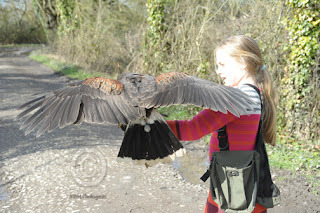 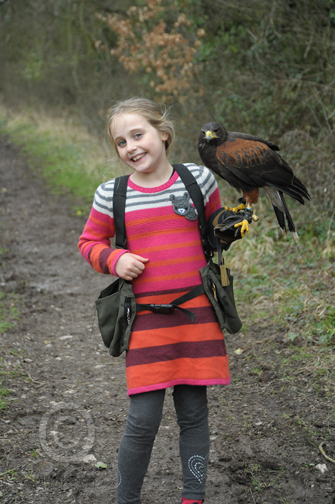 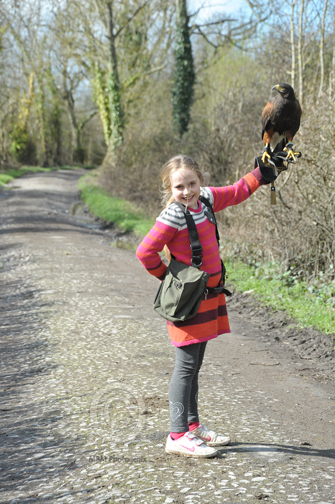 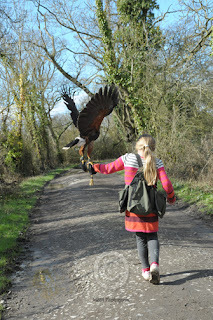 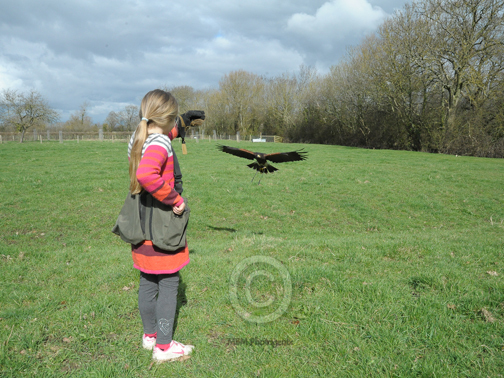 As expected, I haven’t had any time for paintbrushes so far this week – and its looking highly unlikely that there will be any painting for the next few days… 🙁 So instead, I thought I’d share my Mother’s Day treat with you…a Hawk Walk with my daughter. 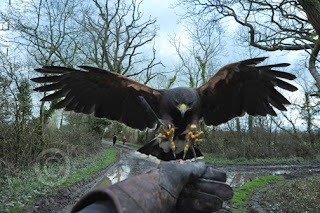 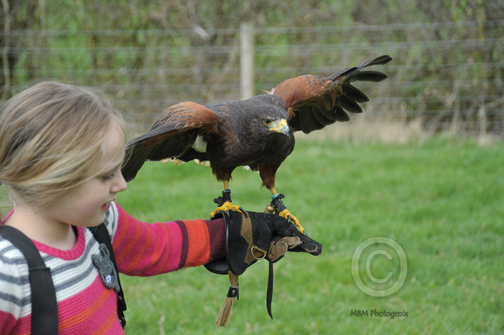 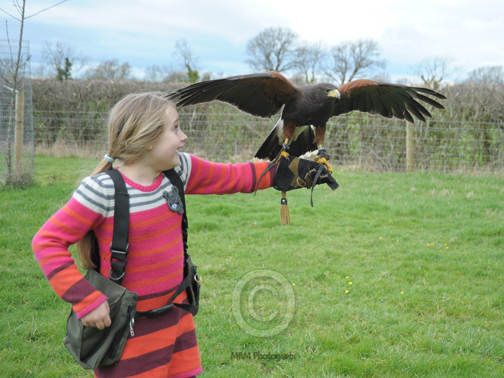 We had a lovely time with Lon, the Falconer and Caffrey, the Harris Hawk as we wandered the lanes and fields on Sunday morning. It was a crisp, bright morning but heavy grey clouds were looming in the distance – but luckily for us, the sun shone!! 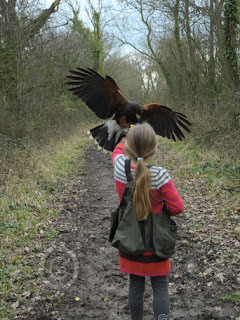 Caffrey is a very experienced Hawk but has been out of action for a while, so this was his 2nd trip out on a hawk walk, in the early stages of him returning to full fitness. What a star he was! The following photos show some highlights of our walk…from my point of view as both proud Mum and excited Trainee Falconer! Ready to ‘rock & roll’..! 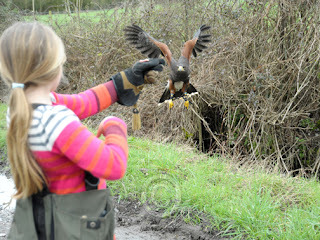 just look at those talons!!! 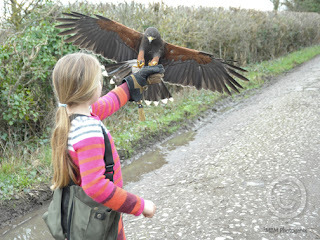 Caffrey took a detour into the hedge…perhaps he saw a vole??? 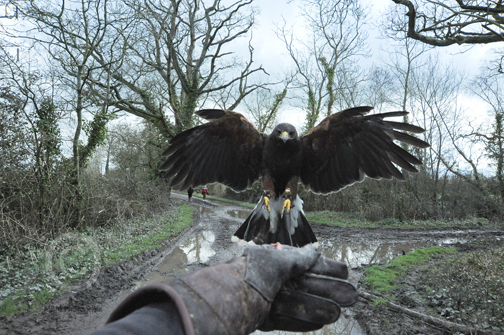 I hope these photos give you some idea of just how ‘up close and personal’ we can be with these stunning birds. As usual, I have bucket loads of inspiration for more paintings from this experience…it happens every time I see them! 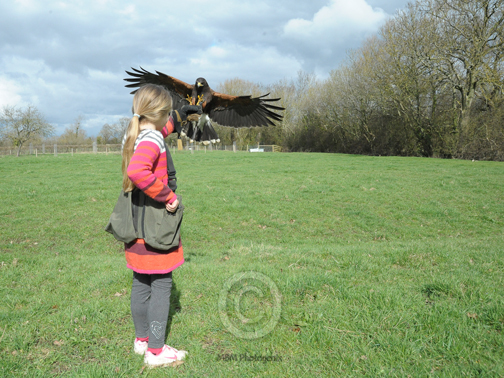 Just watch this space to see what i paint next…I’m pretty sure there will be a Harris Hawk or two…!